Let us make the perfect frame for your "Kodak Moment." 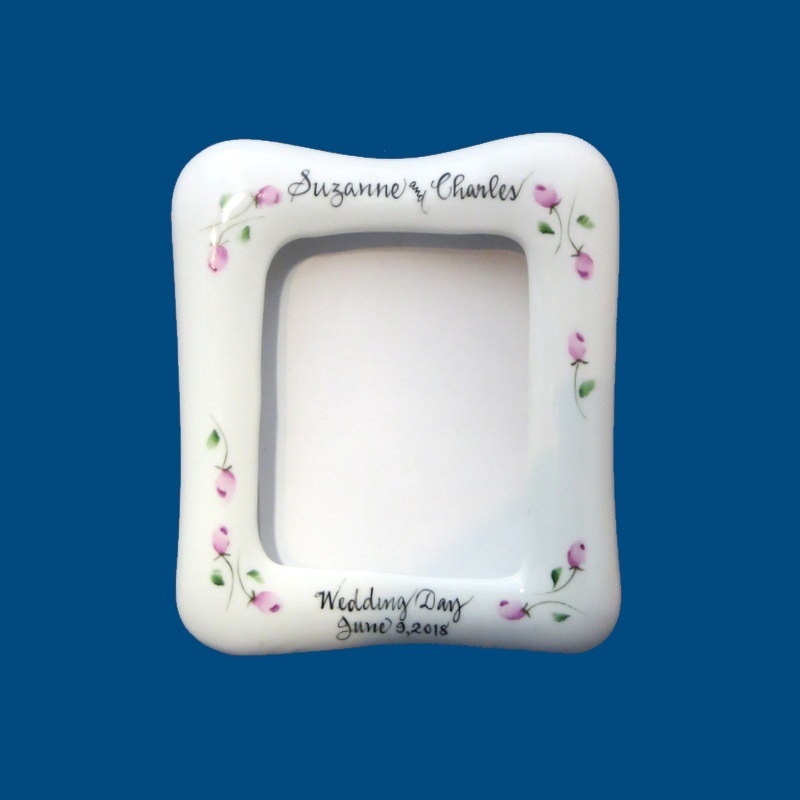 Our white porcelain 4 x 6 custom picture frame is personalized with the bride and groom’s names or monogram initials along with "Wedding Day" and the date. We personalize the back of the picture frame with a short personal message. For example, "Congratulations on your wedding day! Love, Julie and Alan." Choose from one of our beautiful floral designs to decorate your frame. It's a unique gift that will be a treasured keepsake. A gift box with tulle ribbon and enclosure card is complimentary with your purchase.